There will always be a divide between soft and hard taco lovers, so here at Aztec Mexican, we also stock quality taco shells! The origins of the taco are definite. Apparently, the word taco describes a typical Mexican dish of a maize tortilla folded around food. This meaning of the Spanish word “taco” is a Mexican innovation, but in other dialects “taco” is used to mean “wedge” or “plug”. One possibility is that the word derives from the Nahuatl word “tlahco”, meaning “half” or “in the middle”. Thus, meaning that the food was placed in the middle of the tortilla or corn shell. This is a widely acknowledged theory as taco were known to have existed in Pre-Columbian society! The taco predates the arrival of the Spanish in Mexico as there anthropological evidence that the ancient Aztec people living in the lake region of the Valley of Mexico traditionally ate tacos filled with small fish. Since ancient Aztec times, the tortilla, corn chips and taco shells have become widely known and popularised across the world. Beginning at the early part of the twentieth century, various types of tacos have become popular in America. The most common type of taco is the hard-shell. Mass production of this type of taco was encouraged by the invention of devices to hold the tortillas in the U-shape as they were deep-fried. 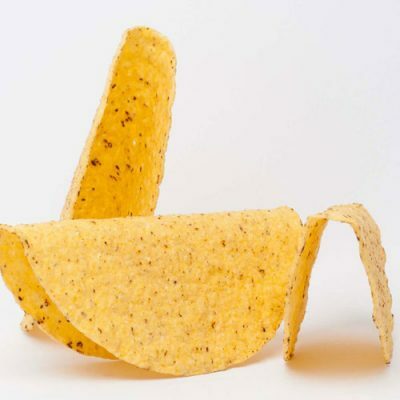 The crispy taco shell is more stable and can easily hold ground beef, cheese, lettuce, and sometimes tomato, onion, salsa, sour cream, and avocado or guacamole. Now, hard tacos are more popular than ever, offering a unique, crispy texture as opposed to soft tacos or tortillas.  For your next gathering or family dinner, try our delicious corn taco shells! Or, for the soft taco lovers, have a look at our vast tortilla range including a variety of corn and wheat tortillas which are perfect for your soft taco needs!